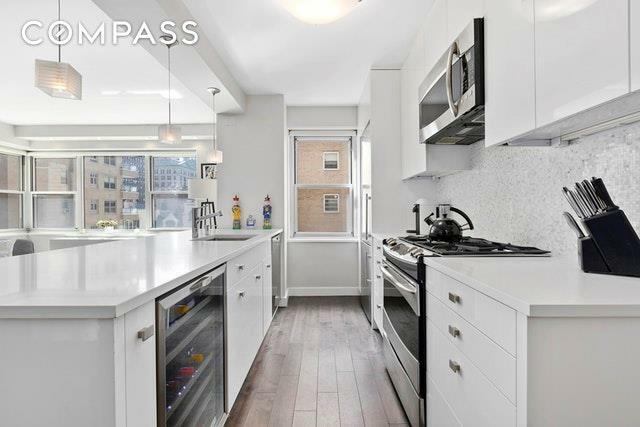 Sun-drenched 5th Avenue Greenwich Village 1 bed/1 bath home available for sale in the coveted Brevoort. 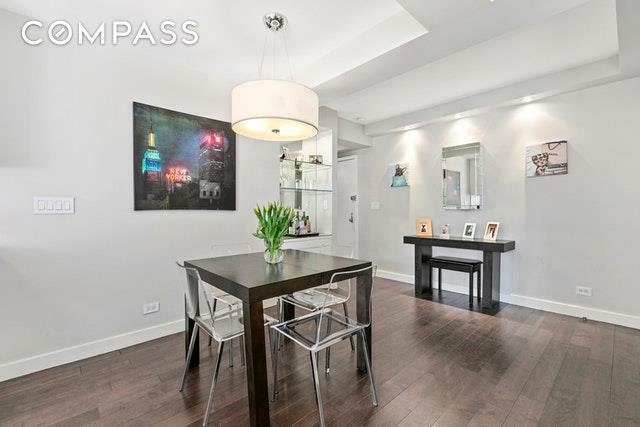 This recently renovated apt with a southeastern exposure is sun-drenched and pin-drop quiet w/set-back views of the land-marked and historic townhomes of east 8th street. Upon entering the home through the proper foyer, the stage is immediately set with a welcoming open floor-plan consisting of a living and dining area surrounding the open kitchen which exudes a lifestyle of comfort and entertainment. The kitchen has a window, tons of crisp white lacquered cabinetry, marble backsplash, pure-white caesarstone countertops, high-end stainless steel appliances and a 40 bottle wine refrigerator. A built-in home office with outstanding custom cabinetry and fitted closets is wisely installed in the hallway leading to the bedroom. The bathroom with a large glass stall enclosed shower has modern finishes in a grey and chrome color palette and white Porcelanosa fixtures. The abundance of natural light continues into the bedroom with both southern and eastern exposures, a large walk-in closet and even a separate shoe closet! New HVAC systems, beautiful maple floors throughout, in-unit stacked washer/dryer and your own storage bin located right in building complete this lovely home, making this a must see!. 11 Fifth Avenue, the Brevoort, is just steps away from both Union Square and Washington Square Parks, every major subway line, five-star restaurants, shopping, and entertainment. 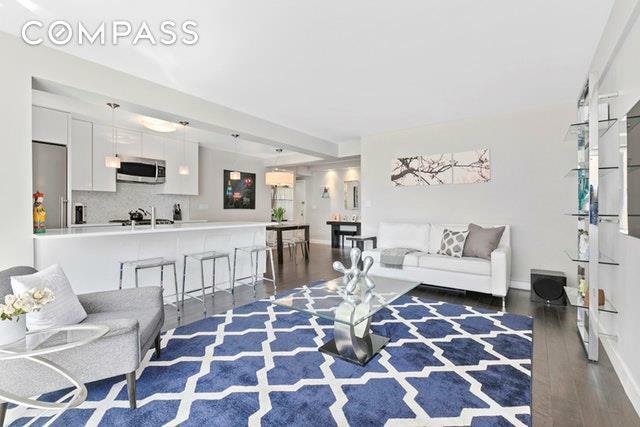 The Brevoort has excellent financials, full-time doorman & concierge, gym, circular driveway, common garden, back-up generator and parking right in the building. 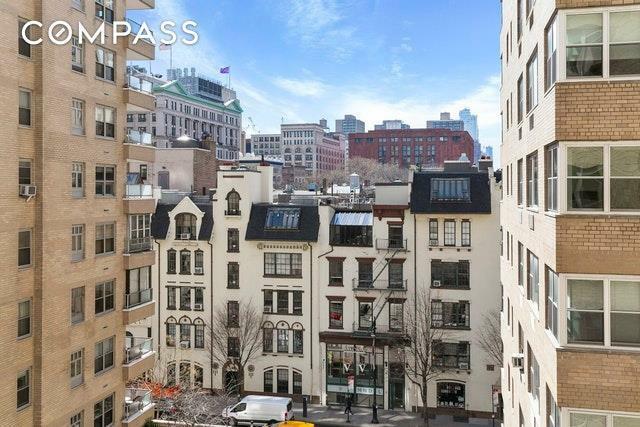 This is truly one of the most desirable addresses in downtown Manhattan.